Why Do People Use Cascara? The oral preparations of Rhamnus purshiana (Cascara), like cascara powder, are used for the treatment and management of: • Constipation issues • As a laxative • Gallstones • Liver ailments • Cancer • As a bitter tonic Manufacturing - In beverages and food items, cascara powder is utilized as a flavoring agent. For manufacturing purposes, it is used in different sunscreen formulations. Likely Safe - Appropriate, short term (less than one week) and oral consumption of cascara is considered safe to use. Initially cascara was approved by the FDA as effective and safe herb but due to the lack of supporting evidence, this designation was removed in the year 2002. Likely Unsafe - Long term (more than one week) usage of cascara powder is considered unsafe. Using it for more than one week can lead to the development of dependence and can lead to the imbalance of electrolytes, like the loss of potassium. Likely Unsafe for Children - Oral consumption of Rhamnus purshiana is considered unsafe for children. Therefore, it should be used only after the recommendation of the doctor since it can lead to the imbalance of electrolytes, especially hypokalemia. Pregnancy - No information is available regarding the safety of cascara powder for pregnant females. Likely unsafe for Lactation - Oral consumption of cascara is considered unsafe in lactation. Use of cascara powder may lead to diarrhea in infants. Possibly Effective - Cascara is possibly effective for constipation due to its laxative effects. Initially cascara was approved by the FDA as an effective and safe herb but due to the lack of supporting evidences, this designation was removed in the year 2002. The most effective parts of Rhamnus purshiana are its dried bark. Anthraglycosides in cascara are cascarosides A and B. These compounds strengthen evacuation and peristalsis perhaps due to their laxative impact. Cascara exerts most of its impacts on the large intestine and does not have much impact on the small intestine. Bacterial flora of the intestine is responsible for the conversion of anthraglycosides into stimulant laxatives. The bark contains free anthrone, which is an emetic compound that can result in serious vomiting. But the free anthrone is decimated by maturing the bark for no less than one year or by artificial aging with aeration and heat. Anthroid laxative utilization is not linked with high risk of carcinoma or colorectal adenoma. What Are The Side Effects /Adverse Reactions of Cascara? Oral consumption of cascara powder can normally produce colic pain, cramps and mild abdominal discomfort. Long term utilization can cause albuminuria, potassium depletion, cachexia, disturbed heart function, hematuria, finger clubbing and muscle weakness. Sometimes chronic utilization can also cause pseudomelanosis coli, which is believed be self-limiting and is not related with an enhanced potential risk of carcinoma or colorectal adenoma. Improperly aged or fresh cascara bark can result in serious vomiting because of the anthrone constituents. How Cascara Interacts With Other Herbs and Supplements? Herbs containing Cardiac Glycoside - Usage of cascara powder and herbs containing cardiac glycoside may enhance potential risk of cardiac toxicity. Herbs that contain cardiac glycoside are Canadian hemp roots, black hellebore, hedge mustard, digitalis leaf, lily of the valley roots, figwort, oleander leaf, motherwort, pleurisy root, pheasant's eye plant, strophanthus seeds and squill bulb leaf scales. Horsetail - Combination of Rhamnus purshiana and horsetail may increase the potential risks of potassium depletion. Licorice - Combination of cascara powder and licorice may increase the potential risks of hypokalemia. Stimulant Laxative Herbs - Usage of cascara and stimulant laxative herbs may enhance the potential risk of potassium depletion. Such herbs include black root, alder buckthorn, butternut bark, blue flag, European buckthorn, colocynth, gamboge, senna, fo ti, greater bindweed, yellow dock, gossypol, manna, jalap, rhubarb and Mexican scammony root. How Cascara Interacts With Drugs? How Cascara Interacts With Foods? There is no known interaction between Rhamnus purshiana and other food items. How Cascara Interacts With Lab Tests? 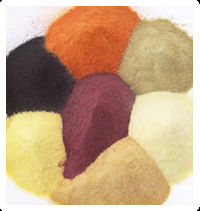 Colorimetric Tests - According to some clinical trials, cascara powder can change the color of urine into red, pink, orange, purple and rusty color. Potassium - Excessive usage of cascara can increase the susceptibility of potassium depletion and decrease the serum level of potassium and subsequent laboratory results. How Cascara Interacts With Diseases and Conditions? Gastrointestinal (GI) Conditions - Cascara powder is contraindicated is individuals with acute intestinal inflammation or intestinal obstruction. This include people with appendicitis, ulcerative colitis and Crohn's disease. What Should Be the Dose/Administration of Cascara? Dosage of 20-30 mg every day of active ingredient hydroxyanthracene derivatives has been utilized. This is considered as from the cut bark, cascaroside A, concentrates or powder. A typical dosage includes 1 cup of tea, which is made by steeping 2 grams of bark in 150 ml of boiling water for 5 to 10 minutes. The cascara extract in liquid form is given in a dosage of 2-5 ml thrice every day. Cascara is no more approved for safe usage by the FDA. It might be sold as a dietary supplement but not as drug. The FDA has already warned cascara manufacturers to reformulate or remove all over the –counter laxative items consisting cascara from the markets of the US. The manufacturers are given chance by the FDA to submit efficacy and safety data, but the organizations have decided that the cost of efficacy and safety studies surpassed potential benefits.